One of my favourite things when seeing a patient is when it becomes increasingly obvious that they’ve done a bit of research into their condition. I enjoy when a patient asks if trans ab or multifidis exercises would be beneficial for treating their lower back pain or whether I think their pec length and poor posture are contributing to their shoulder discomfort. It tells me a lot about the person sitting in front of me. It says that they want to understand their condition and get better while acknowledging that this isn’t their area of expertise and need guidance when it comes to rehabilitation. It also means that, in general, this individual is going to adhere to the advice that I give and ultimately get better, faster. Research has shown that active participation in rehabilitation leads to better outcomes. (1-3) Normally this applies to adherence, which will be discussed later, but I have found that people who do their research and increase their understanding of what’s going on with their body fare better on the path to rehabilitation. This, of course, comes with a bit of a disclaimer: Take Google search results for what they are, an algorithm-based response to key words. They cannot replace the tests we perform and the bigger picture information we process on our way to your diagnosis. Adherence is key. We don’t ask you to do exercises for our own amusement or stop you doing what you love as a form of punishment. We want to see you get better. We want to get you back to what you love. The advice we give out is based on evidence and experience and when followed it should go a long way towards addressing your pain. Try to stick to what we advise. The feedback we get for your body’s response is invaluable for planning the rest of your rehab journey. The moral of the story is ownership. Own your injury, own the rehabilitation process, and own the feeling of achievement of being able to do what you love pain free. 1. Bassett, S.F., 2003. The assessment of patient adherence to physiotherapy rehabilitation. New Zealand journal of physiotherapy, 31(2), pp.60-66. 2. Marshall, A., Donovan-Hall, M. and Ryall, S., 2012. An exploration of athletes’ views on their adherence to physiotherapy rehabilitation after sport injury. Journal of sport rehabilitation, 21(1), pp.18-25. 3. Kolt, G.S. and McEvoy, J.F., 2003. 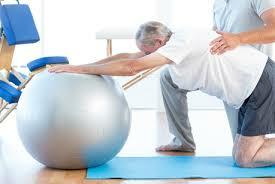 Adherence to rehabilitation in patients with low back pain. Manual therapy, 8(2), pp.110-116. 4. Jordan JL, Holden MA, Mason EEJ, Foster NE. Interventions to improve adherence to exercise for chronic musculoskeletal pain in adults. Cochrane Database of Systematic Reviews 2010, Issue 1. Art. No. : CD005956. DOI: 10.1002/14651858.CD005956.pub2. Older PostInjured? Here's something to read about!